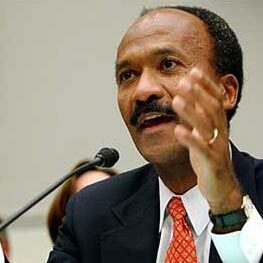 January 14, 1949 Franklin Delano Raines, former chairman and chief executive officer of the Federal National Mortgage Association (Fannie Mae), was born in Seattle, Washington. Raines earned his Bachelor of Arts degree with honors from Harvard University in 1971, spent a year at Oxford University in England as a Rhodes Scholar, and earned his Doctor of Law degree from Harvard University Law School in 1974. Raines served as associate director for economics and government in the United States Office of Management and Budget and assistant director of the White House Domestic Policy Staff from 1977 to 1979. From 1979 to 1991, he worked at Lazard Freres and Co. where he became a general partner. In 1991, he became vice chairman of Fannie Mae, a position he held until 1996 when he became the director of the Office of Management and Budget. In 1999, he returned to Fannie Mae as chief executive officer, the first black man to head a Fortune 500 company. Raines retired from that position in 2004.